July 26, 2018 By Ady Leave a Comment By clicking on our links, we might make a SMALL commission - Thanks for the support! See our full DISCLOSURE here. April 25, 2018 By Ady Leave a Comment By clicking on our links, we might make a SMALL commission - Thanks for the support! See our full DISCLOSURE here. February 14, 2018 By Tiffany Ivanovsky Leave a Comment By clicking on our links, we might make a SMALL commission - Thanks for the support! See our full DISCLOSURE here. With In Store CouponIncludes: AA or AAA, 8 pk. ; C or D, 4 pk. or 9 Volt, 2 pk. February 2, 2018 By Tiffany Ivanovsky Leave a Comment By clicking on our links, we might make a SMALL commission - Thanks for the support! See our full DISCLOSURE here. January 17, 2018 By Tiffany Ivanovsky Leave a Comment By clicking on our links, we might make a SMALL commission - Thanks for the support! See our full DISCLOSURE here. 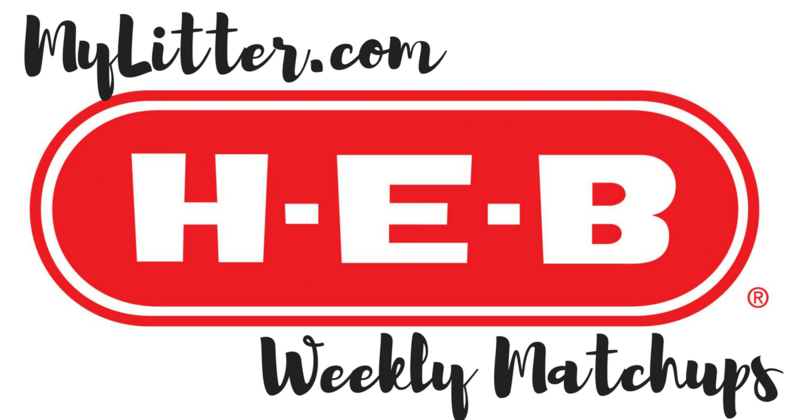 You guys know how much we love H-E-B, especially after everything they did for their Texan shoppers after Hurricane Harvey. I feel like we grew closer together as a community with H-E-B and that is why we are super excited about this exclusive Caress Body Wash or Bar Soap Coupon offer happening now in stores! 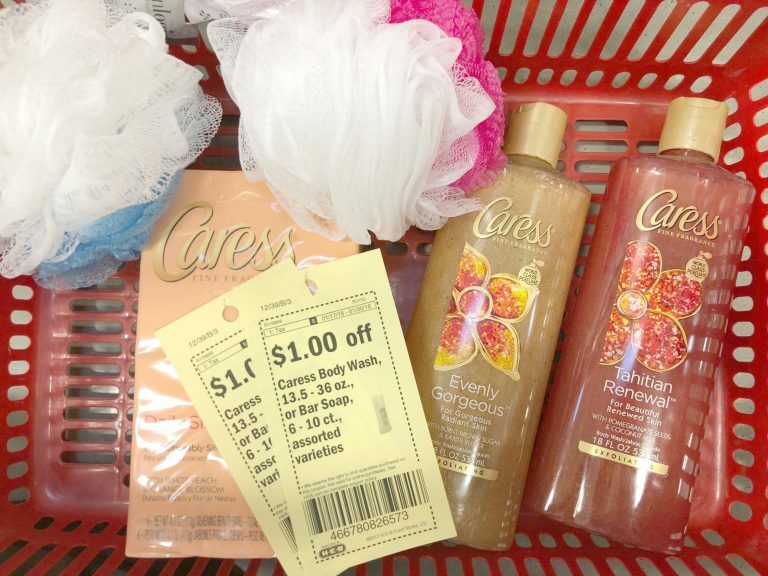 If you visit a nearby H-E-B location right now you can find these Save $1 when you buy any ONE (1) Caress® Body Wash or Bar Soap. Offer valid 1/17/18 – 1/30/18 coupons on the shelf of included Caress items. 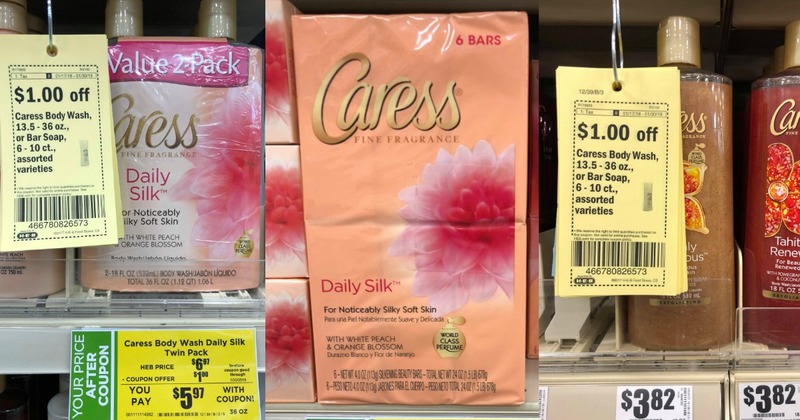 Our favorites are the Caress Body Washes or the original Caress Bar Soap which we always can smell as soon as we turn down the bar soap aisle it seems like. Let’s be real for a minute and realize that our house is FULL of women/girls so we can go through body wash and bar soap like no other. We just had to buy brand new body scrubbies for everyone so we picked them up when we just stocked up at H-E-B. January 3, 2018 By Tiffany Ivanovsky Leave a Comment By clicking on our links, we might make a SMALL commission - Thanks for the support! See our full DISCLOSURE here. December 28, 2017 By Tiffany Ivanovsky Leave a Comment By clicking on our links, we might make a SMALL commission - Thanks for the support! See our full DISCLOSURE here. December 21, 2017 By Tiffany Ivanovsky Leave a Comment By clicking on our links, we might make a SMALL commission - Thanks for the support! See our full DISCLOSURE here. December 15, 2017 By Tiffany Ivanovsky Leave a Comment By clicking on our links, we might make a SMALL commission - Thanks for the support! See our full DISCLOSURE here.